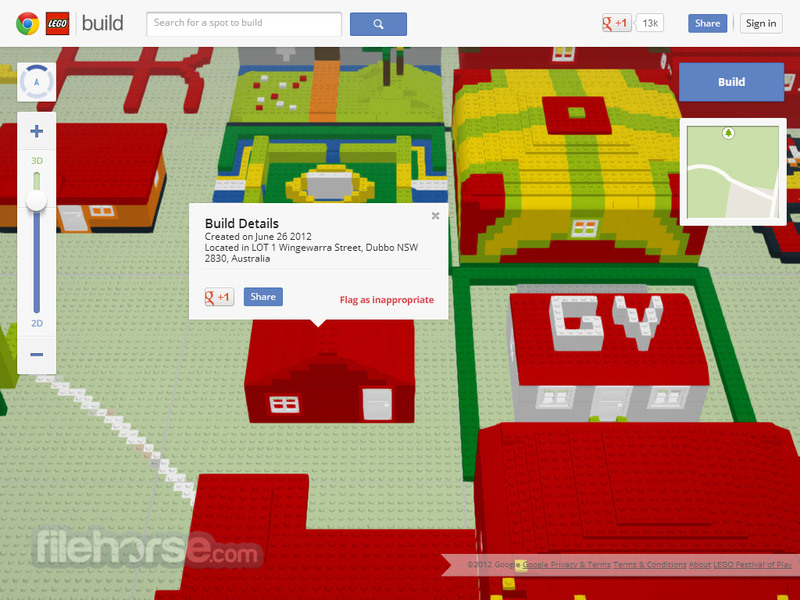 Build with Chrome represents incredible collaboration between Google and the legendary toy company Lego. 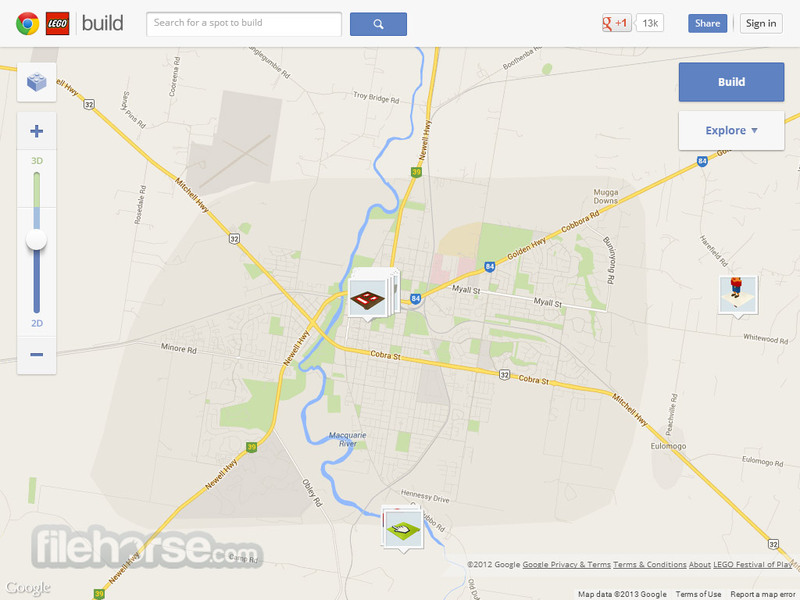 By starting “Build with Chrome” in your browser you will be welcomed by an ordinary Google Maps interface, but with few new interesting icons. 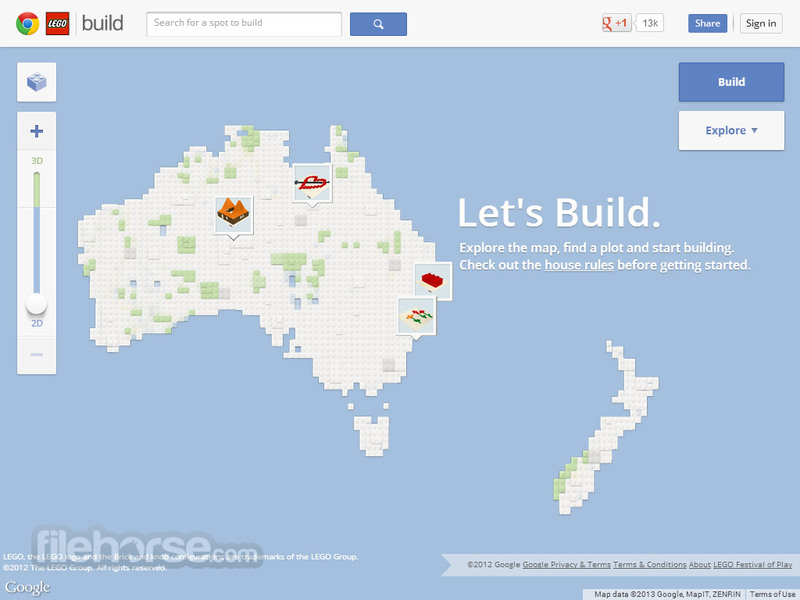 Very soon you will realize that with this game, entire surface of the world has been transformed into a lego playground, enabling you to pick a plot (naturally you must locate your own home and build there first!) and create whatever you desire. 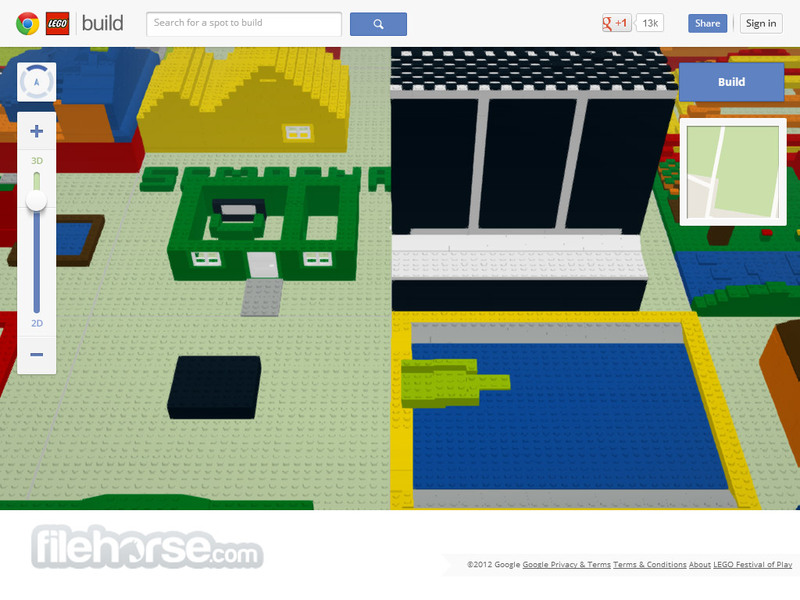 Explore the new world made from Lego in “Build with Chrome” and create objects from your dreams no matter how young or old you are.